In 1992 I came up with the idea of forming a Concert Band in Burton-on-Trent and was delighted to have achieved my aim. It is a privilege to still have it going strongly after twenty-five years. My background as a player, teacher, and businessman gave me the contacts to make this possible. In September 1992 I called the first meeting and rehearsal. About 40 players turned up, some of the same players are in the band today. The band prides itself in having a large social and age divide; at present we have students to retirees and one family with three generations represented. There have been highlights and some dark times, notably the passing away of some of our most highly talented players, who had also become good friends. 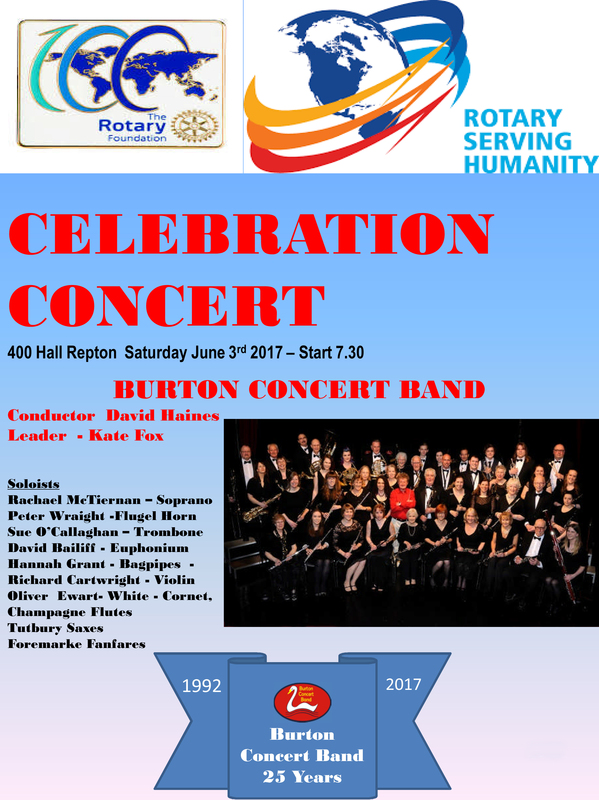 The highlights have been our concerts, Birmingham Botanical Gardens, Chatsworth, The National Memorial Arboretum, Hampton Court and many more. Also tours abroad. The first one was to Prague, a Eurotunnel trip to Bruges and two tours of Tuscany, all with players, partners and supporters, along with the essential equipment support vehicle and its team. My own personal favourite event was the 8th of September 2016, when the Band played in The Terme Baths Montecatini (all marble and fountains) with a capacity crowd. Our finale was George Gershwin’s “Rhapsody in Blue” with soloist Tanya Hilton. The date is etched on my mind, as it was my seventy-sixth birthday. When the players reminded me of this, with presents and cards in the rehearsal, the emotion and feeling of gratitude made the twenty-five years of effort worthwhile. My heartfelt thanks to all the players, the committee, who keep me on the straight and narrow, and of course to my long-suffering and ever supportive wife. Many thanks to all – David.